You Want To Be Used By God In A Mighty Way? You Need Deep, “Fall On Your Face” Repentance. I was in a men’s group in my church and we discussed how God revealed the gospel and the promises of the coming Christ, through the lives of several people. The people included Eve, Abraham, Judah, David and Isaiah. We discussed the great and wonderful promises that God gave to each of them and found “Jesus” in them. I thought about the last four men, especially Judah. Why did God use him, when he didn’t seem to do much? In fact, many of the things he did were quite godless, even selling his own brother Joseph into slavery and sleeping with prostitutes. I realized one common denominator in these four men’s lives… they all experienced deep, “fall on your face” repentance and were changed through it. I even discovered some things that pointed to repentance in Eve. Let’s see. This is the type of person that God uses to reveal Jesus’ glory through. God works through ministries and Gospel movements that are marked through this type of repentance. Those who experienced the convicting work of the Holy Spirit also taste springs of living water full of amazing grace. In the Book of Genesis, we see that Abraham had Ishmael through his compromise with Hagar. Ishmael was his attempt to procure a child, not by faith in God, but by his own human planning. After Ishmael was born, there was ten years of silence in Genesis. Abraham was working hard, raising his family and taking care of his flocks and herds and his household. He was spending time with his growing son and worshipping God. But God found some fault in him. In Genesis 17:1-3a, “When Abram was ninety-nine years old, the Lord appeared to him and said, “I am God Almighty; walk before me faithfully and be blameless. 2 Then I will make my covenant between me and you and will greatly increase your numbers. Abram fell facedown,…” Why did he fall face down? I propose become he was not living a life in keeping with his calling. He was doing a lot of good things, but he was not walking before God and he was not living blamelessly. God was calling him to repentance. 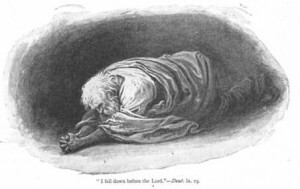 The spirit of God convicted his heart and he fell face down. When Abraham repented deeply God then restored him, planting the promises of God. Abraham accepted these promises and entered into a convent of circumcision with the Lord. (Genesis 17:1-27) God was glorified in Abraham’s life through his repentance and this repentance is nothing Abraham could produce on his own. It was through the convicting work of the Holy Spirit. Judah and his brothers sold Joseph into slavery. He slept with prostitutes. Why did God work through him? One reason is that he repented of his sins and he was fundamentally changed by God. When Joseph was telling about to keep Benjamin in jail, Judah suddenly sincerely cared about Benjamin and his father Jacob. He repented and offered up his own life for the life of Benjamin. 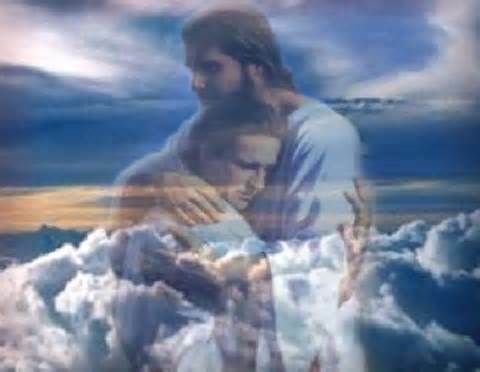 He said to Joseph in Genesis 44:34-35, “Now then, please let your servant remain here as my lord’s slave in place of the boy, and let the boy return with his brothers. 34 How can I go back to my father if the boy is not with me? No! Do not let me see the misery that would come on my father.” (NIV) At this point Judah was a broken, yielded man ready to offer his own life up for another. He was changed and humbled. God granted him many great and wonderful promises. Again, Judah could never change himself. He could never humble himself to the point where God could work through his life. It happened only by the Spirit of God. Next, let’s think about David. 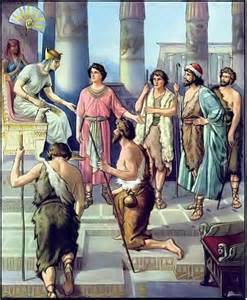 David was the greatest King of Israel. He was a man after God’s own heart. He wrote many prophetic things. The promises of God were revealed through his writings. But how did God work so powerfully in his life. It is because he was repentant and broken because of his sin. He was made humble by God himself. One day King David committed adultery with Bathsheba. In order to cover up his sin, he had her husband Uriah killed on the front lines of battle. These are horrible sins. David was not able to repent on his own. 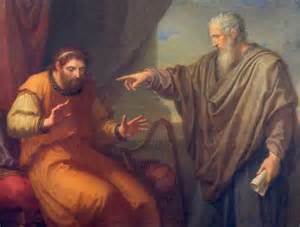 God sent Nathan the prophet to assist in convicting him. This was David’s, “fall on your face” moment of repentance. He even pled with God to create in him a clean heart in Psalm 51:10-12, “Create in me a pure heart, O God, and renew a steadfast spirit within me. 11 Do not cast me from your presence or take your Holy Spirit from me. 12 Restore to me the joy of your salvation and grant me a willing spirit, to sustain me.” Actually a complete, slow read of Psalm 51 would be very beneficial. 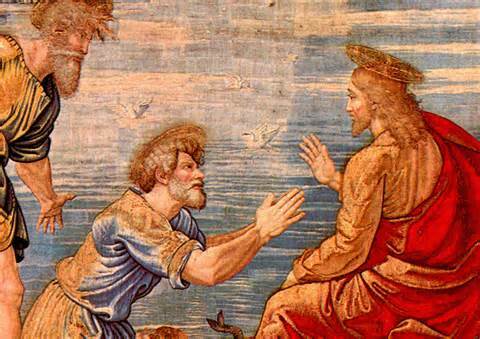 King David was truly a broken man, ready to allow the Lord to grab his feeble hands, lead him and restore him by grace. Isaiah was a great man, but he needed to be broken and restored by the grace of God. This happened by the convicting work of the Holy Spirit. With God’s help, Isaiah could see himself, and his people, before the Holy God. Look at verse 5 again, ““Woe to me!” I cried. “I am ruined! For I am a man of unclean lips, and I live among a people of unclean lips, and my eyes have seen the King, the Lord Almighty.” Through this experience his heart was made right before God. He was ready to accept the mission that God had for him in verse 8, “Then I heard the voice of the Lord saying, “Whom shall I send? And who will go for us?” And I said, “Here am I. Send me!” God spoke prophetically through Isaiah in so many ways. (Read Isaiah 53) Jesus is revealed through these prophetic words 800 years before he came into this world. 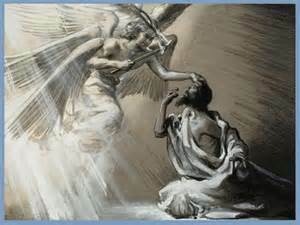 Isaiah was a conduit of the promises of God because his heart was made ready by the convicting work of the Holy Spirit. Eve was mentioned in this men’s discussion. The promises of God were given to the world through Eve’s life. In Genesis 3:15, “And I will put enmity between you and the woman, and between your offspring and hers; he will crush your head, and you will strike his heel.” Though this is a curse to the serpent, it is the first prophecy of a Savior. God spoke through Eve’s experience in the Garden, about Jesus, who would later come into the world. There was no record of a “fall on your face” moment of repentance on Eve’s part. But maybe there is? 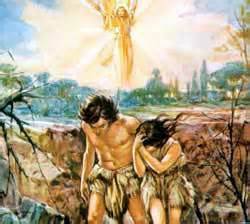 In Genesis 3:7, Adam and Eve realized their sin. They attempted to cover up their shame by dressing in leaves. “7 Then the eyes of both of them were opened, and they realized they were naked; so they sewed fig leaves together and made coverings for themselves.” This could be their “fall on your face” moment of repentance. In Genesis 3:20 Adam named his wife Eve because she became the mother of all the living. That means they had renewed hope for the future, despite of their sin. God forgave them, even sacrificing an innocent animal to cover them. There are so many other influential servants of God in the Bible who experienced this type of conviction of sins and repentance. I am thinking of Peter who fell at Jesus’ knees and said, “Go away from me, Lord; I am a sinful man!” (Luke 5:8) and Paul (Acts 9:4-6) who declared in 1 Corinthians 15:9-10, “9 For I am the least of the apostles and do not even deserve to be called an apostle, because I persecuted the church of God. 10 But by the grace of God I am what I am, and his grace to me was not without effect. No, I worked harder than all of them—yet not I, but the grace of God that was with me.” I think every Christian, and every ministry, whom God is working through in powerful ways, has been convicted of their sin, broken, forgiven and raised up by God to serve a great and glorious purpose. Yes, God can use our education, our training in righteousness, our training in ministry, our correct grasp of Christian theology and scriptures, our uprightness, morality and human discipline. Yes he can. But these can so easily be linked to our limited human efforts. But to be used by God, to the degree that servants of God in the Bible were used, we need to be convicted of our sins, broken, forgiven and restored by God. This is nothing we can ever do on our own. It is all from God. It comes from standing before the holy God and allowing the Spirit to work within us. We will be broken. But God opposes the proud and gives grace to the humble. (James 4:6) God’s grace is made perfect in weakness. Think about the testimony of the great apostle Paul. We want to be used by God. Maybe we are not equipped with the right heart. We think we are “all that”, but we need to be humble and broken and fully dependent on Jesus. The grace of God must be overflowing through our lives, not our human self discipline and credentials. God works through hearts made humble by his grace. He works though those broken and restored by his love and power. This is nothing we can procure on our own. You can’t sign up for a course at college. You cannot read the right book. It is a gift from above. How then should we respond? I can think of three ways. Fix your eyes on Jesus and study is word, focusing on who Christ is. Turn to Christ for forgiveness and grace and be restored. Allow God to work in our lives, through our brokenness. We need to see the glory of God in Jesus. John 1:29, “The next day John saw Jesus coming toward him and said, “Look, the Lamb of God, who takes away the sin of the world!” The shepherds in the field, on the night Jesus was born in a manger, beheld the glory of God and were afraid. They were the first ones to behold the baby Jesus. We need to fix you eyes on Jesus. We need to pray for the conviction of the Holy Spirit. The Holy Spirit is the great convictor of sin. 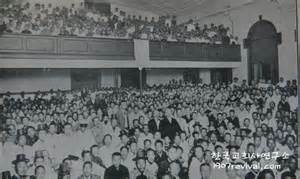 When I think about the fruit born out of repentance, on a ministry and national level, I am reminded of the Great Revival Movement of 1907 in Pyongyang Korea. American, English and Canadian missionaries sowed the seeds of the gospel. Increasing numbers of people came to Christ. Reveal meetings increased as were prayer meeting and Bible study groups. People walked hundreds of miles to join prayer meetings. The revival was a big turning point in Korean church history. The following are some quotes from a 10 minute video on the revival. These quotes point out how essential repentance by spiritual leaders is in igniting the fires of revival. Note by Kevin Jesmer: This comment was made of an early Korean convert who became a church leader. Apparently, before his conversion, he stoned an American missionary during an independence rally. But later he was standing with the American missionary he stoned, as a fellow servant of God. Truly, his life is a testimony to the power of the Gospel. A past president of American Intervarsity Christian Fellowship was a speaker at a UBF staff conference. I will never forget how he opened up his discussion. He sat on a stool, in front of the all the leaders and calmly and quietly began to speak. In a very personal way, he started to list all of the sins of Intervarsity Christian Fellowship. The whole room went silent, hanging on his every word. I saw humility. I saw repentance. I saw why God can work through IVCF in such powerful ways. Christ was glorified in his discussion, not him and not IVCF. Have I ever experienced this level of repentance, where I was compelled by the Spirit of God, to “fall on my face”, with nothing more to say except, “go away from me Lord, I am a sinful man”? and “Lord, have mercy on me, a sinner?” Maybe it happened a couple of times. I have been convicted of my sins, feeling bad about things. There are times I have cried. But this conviction has not produced the devastation that it caused in some peoples’ hearts in the Bible. My reaction would always be like, “Ok, I agree I sinned. I am sorry about that. I definitely will try to change and try again and teach others to do the same.” Very seldom were there tears of repentance, where I felt that I could not even lift my head. In so many ways my heart is calloused and insensitive to sin. Even at my conversion I cried tears born out of an epiphany of truth about Jesus, not about conviction of sin. But, despite of my calloused heart, God accepted the times of repentance that do occur. He has been transforming me and working in my life and family. But there was one event that I remember, where I was truly cut to the heart. I was asked by a Pastor to be a speaker at a conference. It would require a lot of preparation. I denied the opportunity, though it was a blessing from God. The basis of the rejection was only self preservation. I refused to pick up my cross. I really felt bad because I knew that it was an opportunity given to me by God. I walked around the neighborhood feeling like I wanted the “Hills to cover me”. God brought me through it and I grew spiritually. Maybe God does not reveal to us all of our sins in their entirety because we just couldn’t handle it. We would be crushed. We would call on the hills to cover us. God reveals to us our sins in increments, amounts that we can bear and respond to grace. Can we invite God to convict our hearts to this degree? Can we embrace this level of repentance and humility? Dare we pray for this gift of conviction and repentance? We can never change our own hearts. But God through his word and Spirit can. It is never easy to experience this transforming work born out of repentance, but it is from God and a great gift. But this gift is never easy to bear. After all, servants of God of the past were compelled to fall on their faces with nothing to say. It is never easy. That is one reason people avoid repentance. Whole ministries avoid repentance. It is too painful to repent. But it is “oh so sweet” to those who have experienced this transforming work of God. They can give testimony that Jesus is the Christ, the Savior of the world.